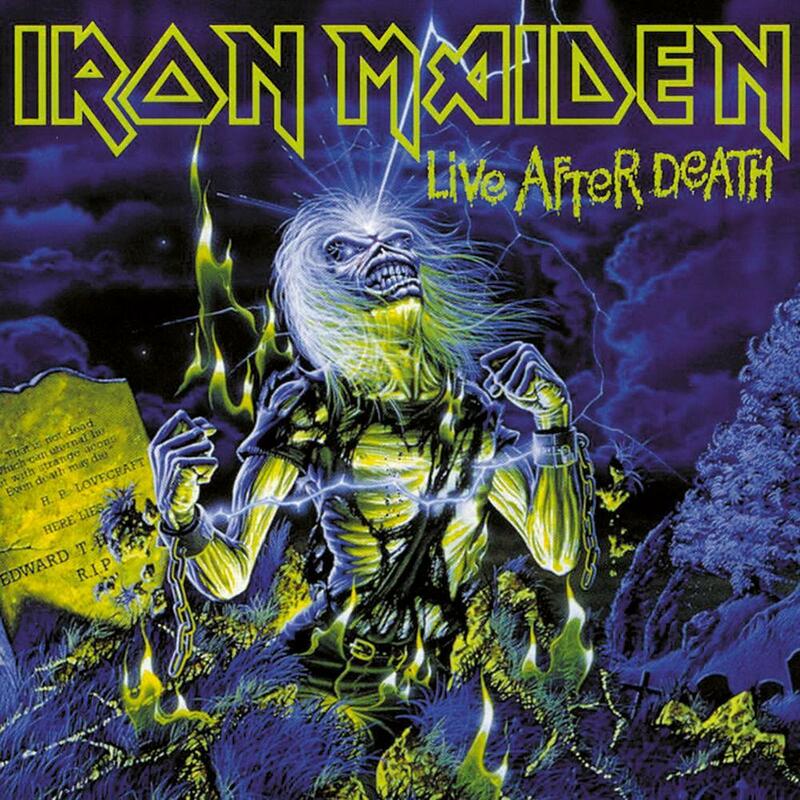 Iron Maiden - "Live After Death"
Finally available on DVD for the first time, EMI Records are proud to announce the eagerly awaited release of the Double Disc DVD of LIVE AFTER DEATH, the legendary recording of Maiden’s four night stand at Long Beach Arena, California, in 1984. In the shops 4th February 2008, the release will coincide with the start of the band’s “Somewhere Back In Time World Tour” on which they will recreate many of the aspects of this original and spectacular show. Disc one contains the recording of this full 90 minute concert. Originally filmed on 35mm, the footage comes alive on DVD resulting in a visually stunning film that far outstrips the usual live video of the ‘80’s. The disc carries two sound options - the original concert audio specially mixed into 5.1 Surround Sound by Kevin Shirley, Maiden’s producer since 1999, plus the original stereo sound track by Martin Birch, the band’s producer from 1981 to 1993. Originally released on video in 1985, this has been largely unavailable for the past 20 years. Disc two has Part 2 of the ‘History of Iron Maiden’, continuing on the Maiden story from “The Early Days” DVD, along with rare and unseen bonus footage in the form of BEHIND THE IRON CURTAIN, ROCK IN RIO ’85, and ‘ELLO TEXAS, all in all giving a total running time of well over three hours. Plus of course the photo galleries, relevant promo videos, artwork galleries, tour dates, tour programme and other features which all combine to make Maiden DVDs a very special and utterly comprehensive treat for their fans.